Join us in NYC April 4th and 5th for the 2019 Facades+ NYC Conference. Cladding Corp and SwissPearl® are pleased to once again come alongside other high performance facade experts to dialogue with you regarding some of the best practices in drained and back-ventilated (DBV) rainscreen wall design. Come and see why Facades+ is the premier conference for presenting the latest technology and solutions for high-performance building enclosures and high-design building skins. With countless project references in the NYC-Metro Area, Cladding Corp has long been a leader in facade design and technical performance. With our partnership with SwissPearl® in the New York Market, our engineered solutions are designed to meet both the performance and budget needs of your project! 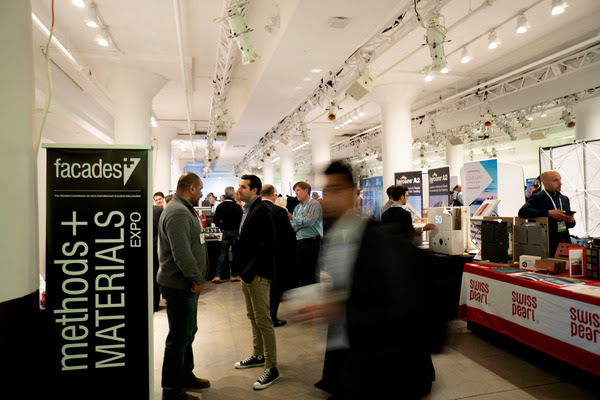 To learn more about this year’s Conference, check out Facades+ NYC or feel free to contact us.